The Print Shop is a pop-up shop (when they say it's a pop-up shop, they mean temporary- it's not in a tent or anything..) situated in Quakers Friars in Cabot Circus, which is in the lovely square by the church and Carluccio's. The little shop is a part studio, workspace and gallery for affordable print work all organised by Spike Print studio and Draw in Bristol. As the shop is only open until Christmas eve, I really recommend you go- although the shop is small there is a great selection of prints to buy (ranging from about £20 to the hundreds) and a nice display on the walls. 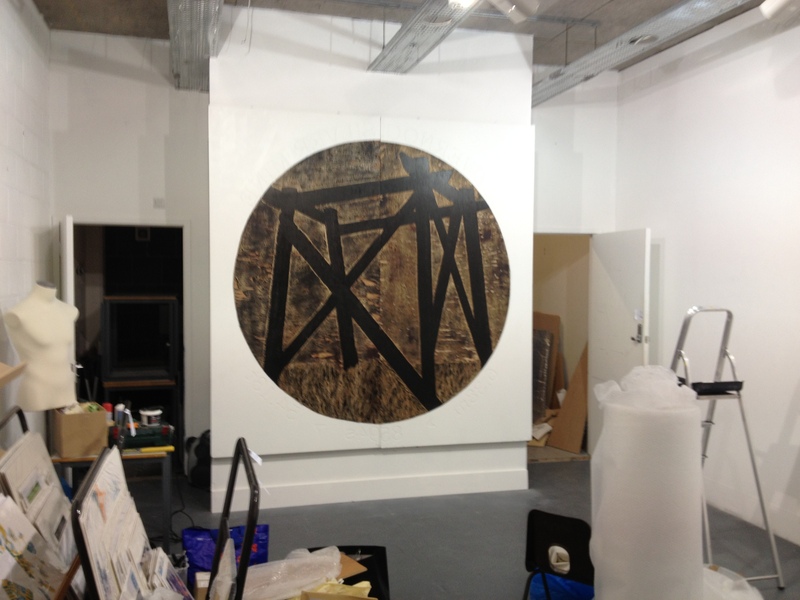 I went there to see Peter William's work which is the last instalment, a huge woodcut block on the rear wall of the shop. A trip to The Print Shop makes a great little festive outing now that the lights are up in Cabot Circus, and definitely a good idea to get some mulled wine from the Christmas Market in Broadmead afterwards!